Floating Staircases Are The Staircases Of The Future! 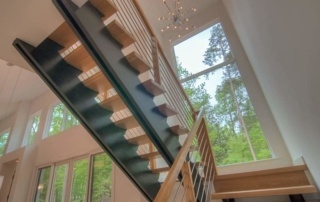 Floating staircases are becoming more and more popular these days in new custom home building projects. By admin|2017-07-26T14:41:16-04:00July 25th, 2017|Custom Home Features|Comments Off on Floating Staircases Are The Staircases Of The Future!